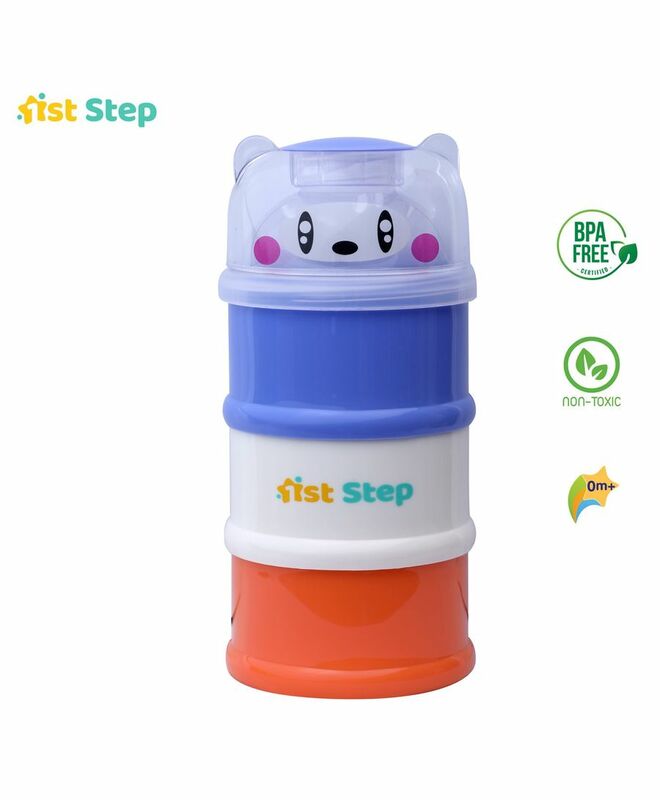 1st Step Milk Powder Container is compact and light weight, making it ideal for outdoor use. Its 3-tier concept enables mother to separate milk powder needed for each feeding. The flip top cover allows mother to handle the milk powder more hygienically and reduce spillage.